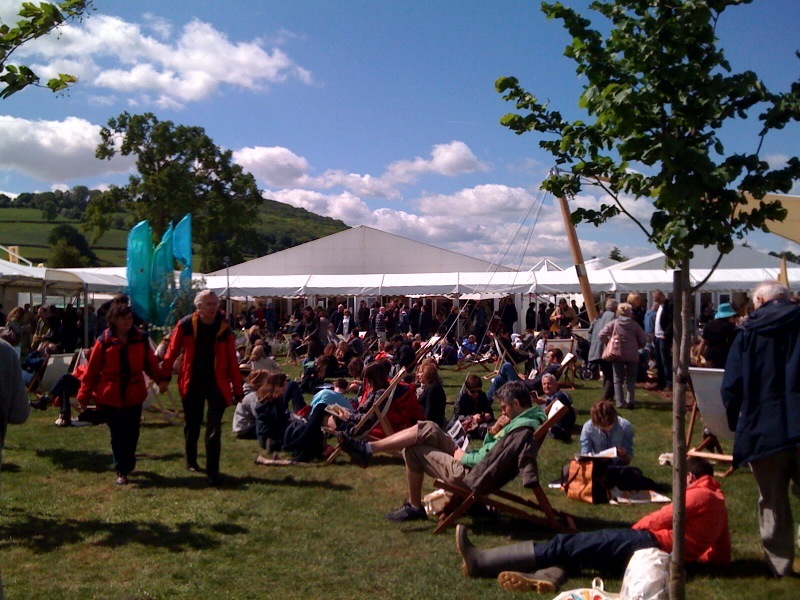 The Hay Festival site is truly wonderful when bathed in sunshine. After several heavy downpours yesterday the clouds opened this morning and the heavens smiled. The forecast for the rest of the week is one of steady improvement. We’ll keep the weather reports posted on this blog (top right) but fingers are crossed that we will be blessed by sunshine and clemency. How Wonderful – such a Delight.